GIF support in WhatsApp is coming soon. 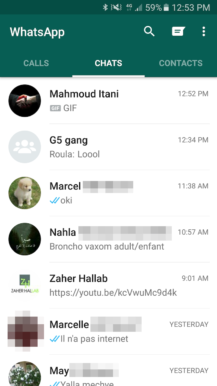 I know it, you know it, we all know it's already baked into the Android app (only requiring a small switch from a root-only app to enable it) and there's even a WhatsApp Animated GIFs folder inside the WhatsApp directory on our local phone's storage that's just taunting us hard. But for those of us who don't want to root our devices or install unofficial hacks, there's light on the horizon. 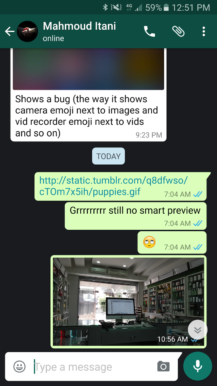 The first GIF support instance has shown up in WhatsApp and I was able to verify it on beta version 2.16.242. 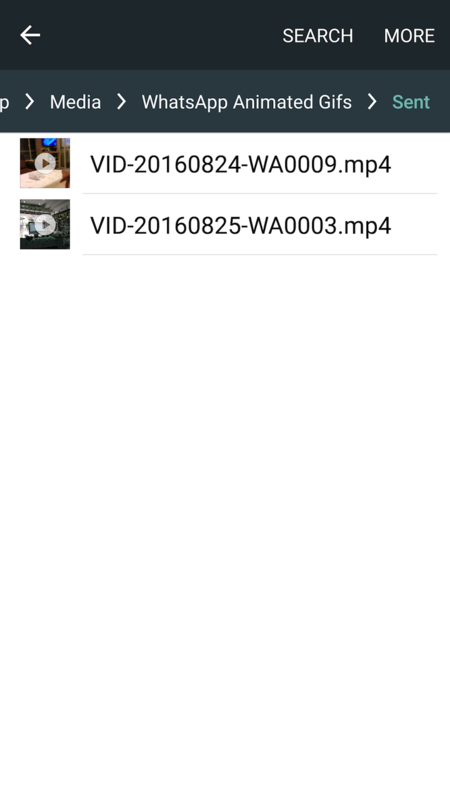 It's probably there on the two newer releases and maybe even on slightly older versions of the app, but I can at least tell you it's there on 2.16.242. 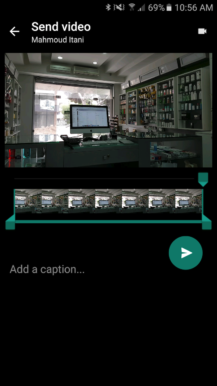 The video will be converted to a GIF and inserted into the conversation to play inline. Now if you're looking for the GIF on your phone, you won't find it easily. 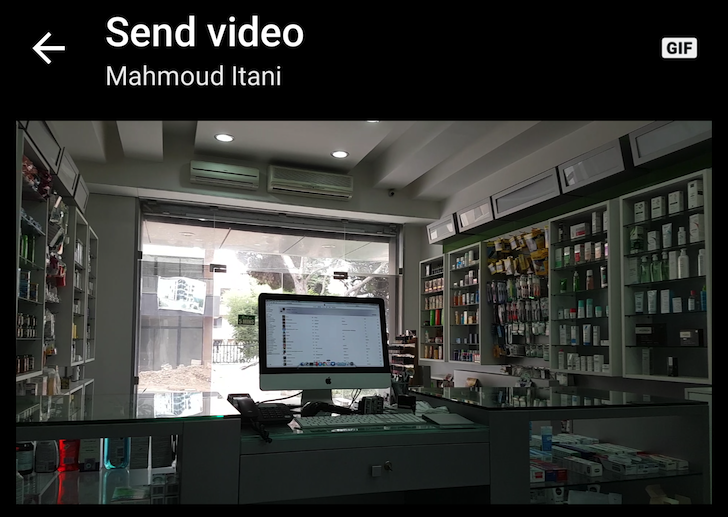 The WhatsApp -> Media -> WhatsApp Animated GIFs -> Sent folder only shows the original MP4 file that was recorded, but rest assured that what is actually sent and received is a GIF indeed. After all, it animates inline in the conversation (unlike videos) and it gets labeled in the conversation list and the notification as a GIF. So far this is the only way to send a GIF in WhatsApp (again, unless you have hacked the functionality) that we have found. (You can obviously forward a received GIF too.) It's still a very, very, very limited support for GIF sending on WhatsApp, but it gives us hope that the feature is maybe just around the corner. It won't be too soon. 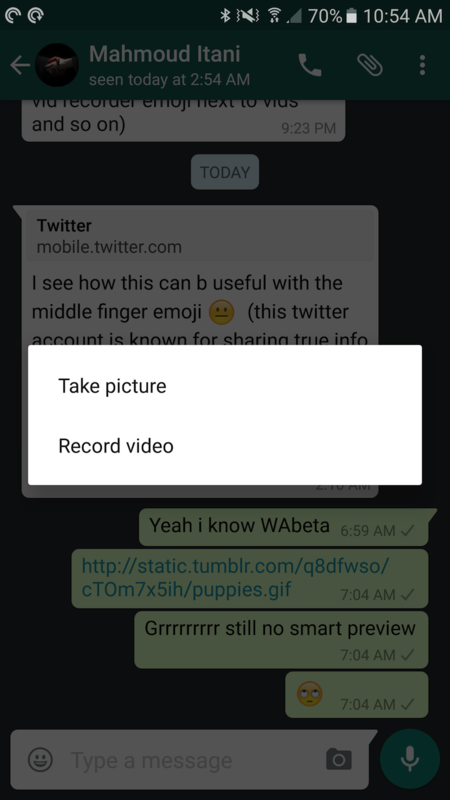 You can grab v2.16.242 from APK Mirror directly or by joining the Play Store beta and waiting for the app to update to the latest beta version. 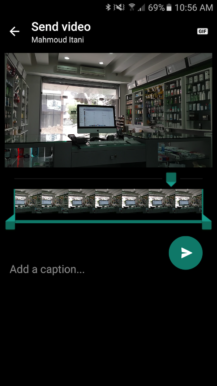 As pointed out by Simeonico in the comments below, sending videos as GIFs works anywhere in WhatsApp as long as the length is 6 seconds or less. 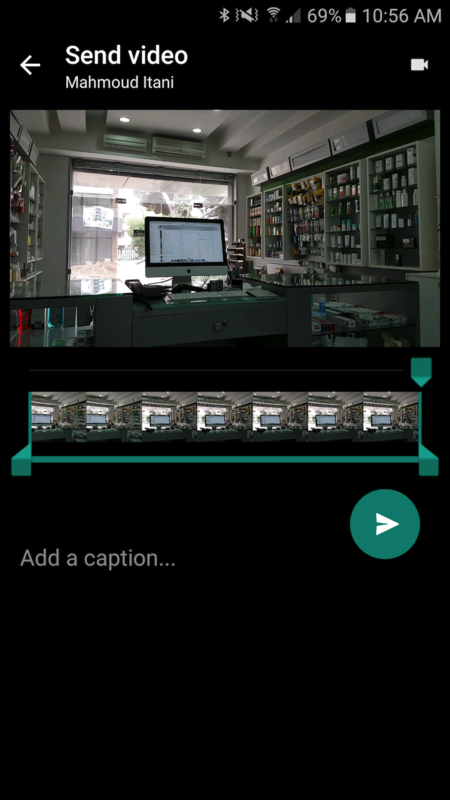 So whether you're recording a new video, sharing an existing video from your gallery app, or attaching an existing video inside WhatsApp, as long as it already is or you trim it to be 6 seconds or less, you will get the camcorder/GIF switch button. This is much, much better than what we originally reported.